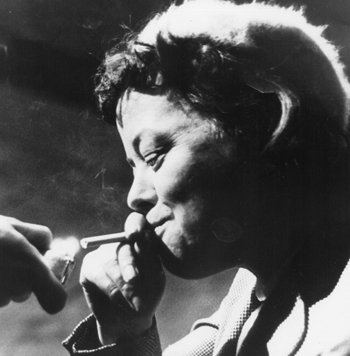 While the revolution in British theatre in the 1950s is nearly always attributed to the angry young men of the Royal Court, it was actually Joan Littlewood ’s Theatre Workshop at Theatre Royal Stratford East  that had a more lasting influence on the way contemporary drama looked and sounded. Littlewood, who died in 2002, was less interested in text than in music, movement and improvisation – “total theatre” as it has come to be called – as well as creating a company ethos of cohesion and fun. She took her inspiration not from the West End or the conventions of UK theatre but from the more abrasive and exuberant work of avant-garde European directors. 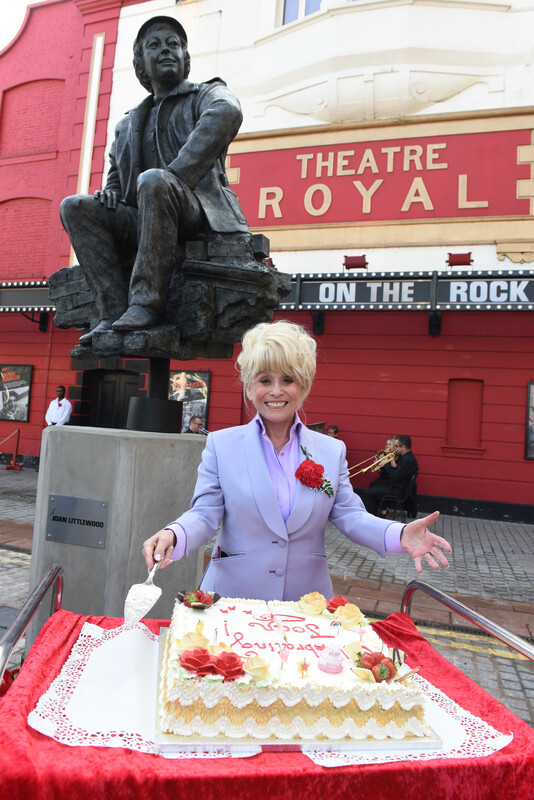 At different times, her company of actors included Barbara Windsor, Stephen Lewis, Brian Murphy, Roy Kinnear, Miriam Karlin, Richard Harris, Harry H Corbett and Avis Bunnage. Now her story is the subject of a new musical, Miss Littlewood, which is being staged at the Royal Shakespeare Company’s Swan Theatre for the next six weeks. 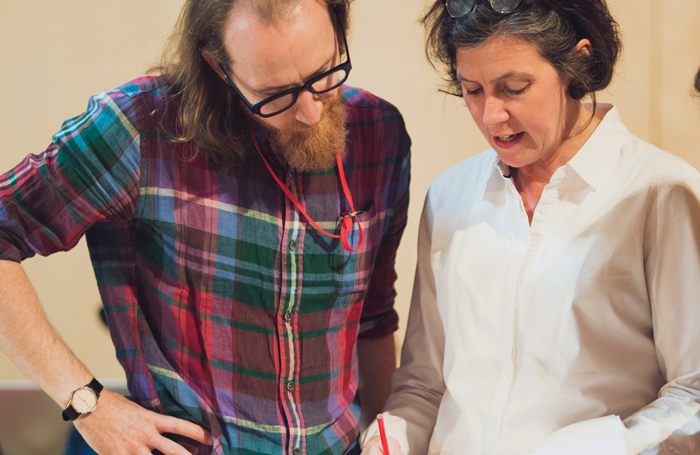 Its author-composer Sam Kenyon was inspired to write the show after reading Littlewood’s 800-page autobiography, Joan’s Book, published by Methuen in 1994. Kenyon says the structure of the show is greatly influenced by Littlewood’s style of direction. Perhaps the most radical innovation is to have the director played by seven different actors. Littlewood and her Theatre Workshop seemed to thrive on adversity. In its short 10-year history it was constantly battling debt, bankruptcy, hostility from the authorities and an apathetic public, despite the acclaim it invariably provoked from the critics. In 1958, Observer critic Kenneth Tynan referred to Littlewood’s staging of Brendan Behan’s The Hostage, as a “prophetic and joyously exciting evening… Miss Littlewood’s production is a boisterous premonition of something we all want – a biting popular drama that does not depend on hit songs, star names, spa sophistication or the more melodramatic aspects of homosexuality. Sean Kenny’s setting is, as often at this [Stratford East] theatre, by far the best in London”. For Littlewood, it was always a balancing act between staging shows that would put bums on seats and doing work that lived up to her rigorous artistic and political standards. The artistic and critical climax of her Theatre Workshop experience was the 1963 production Oh What a Lovely War , the show of hers that is most frequently revived. Deciding that “war is for clowns”, she presented a play about the First World War as an end-of-the-pier revue, with jokes, songs and sketches, combining slapstick humour with stinging satire and heart-breaking statistics. 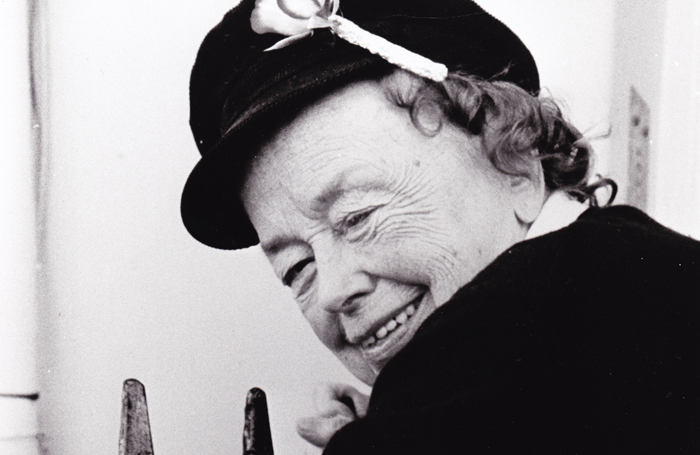 One of the problems facing Sam Kenyon in his first show as writer-composer, was selecting the key people in Joan Littlewood’s life. But there was never any doubt that Gerry Raffles would be a protagonist as he was not only the administrator of Stratford East but also her life partner. When he died in 1975, it signalled the end of her involvement with the theatre they had established together and the beginning of her self-imposed exile.